The main places of attraction are “Panipat Battles Museum”, Hemu ‘Samadhi-sthal’ and camp site of Babur and Akbar at village Sodhapur, the grave of Ibrahim Lodhi, Kabuli Bagh,Devi Mandir, Kala Amb, Salar Gunj Gate, and the tomb of the thirteenth century sufi saint Bu Ali Shah Qalandar. The Battle of Panipat Memorial society set-up by the Government of Haryana, highlights the major events that took place for over two hundred years which made Panipat a place of great historical importance. Panipat Museum has been especially established for disseminating information about archaeology, history, art and crafts of Haryana with special emphasis on the Battles of Panipat which marked the turning point in Indian history, The display of antiquities, inscription, sculptures, arms and armours, Pottery, old and valuable documents, jewellery and art and craft objects, have been augumented by maps, writeups photographs and translides, etc. Through display an attempt has been made to provide an insight into the acts of bravery of some valiant and patriotic warrios who sacrificed their lives at Panipat. These include, Samrat Hem Chandra Vikramaditya-a local hero who belonged to Haryana, Raja Surja Mal of Bharatpur, Vikramaditya (Vikramajit) of Gwalior, Maharaja of Patiala, Sher Shar SURI Sadashiv Rao Bhau, Vishwas Rao Peshwa, and Tukuj Shinde. Enlarged photographs of a large number of important miniatures, mostly from Babur-Nama and Akbar-Nama, relating to these battles and personalities connected therewith, have been obtained from the National Museum of New Delhi, The British Library, Victoria and Albert Museum of London. A Large number of contemporary weapons, armoury, guns, etc. have been acquired through loan from the Archaeological Survey of India, The Department of Archaeology and Museums, Haryana is also associated with this project, has donated a large number of items for display in this Museum. These include replicas of a large number of artifacts in the form of status, pottery, coins, etc. which were collected from the excavated sites in Haryana besides a number of blow-ups of building and sites of historical and archaeological importance. 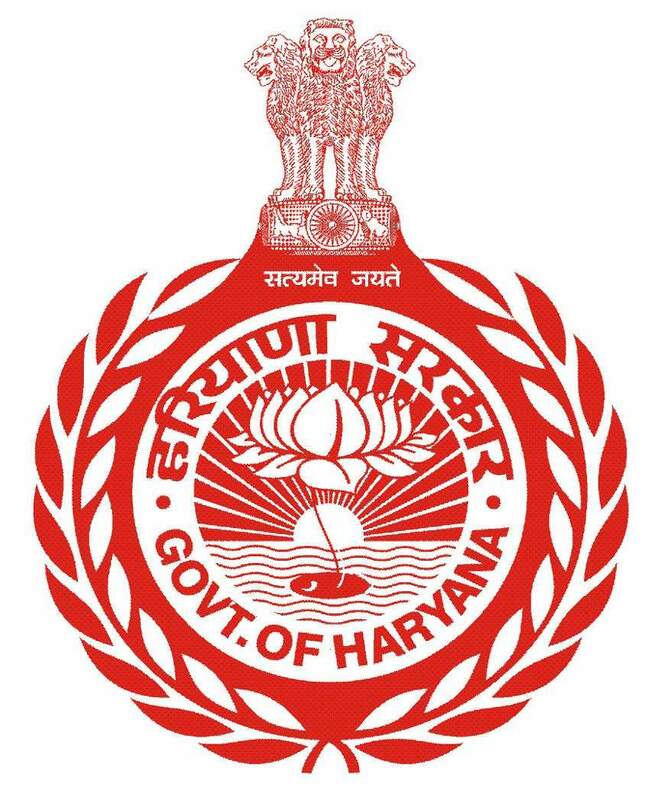 In addition, a large number of items of traditional art have been procured from various districts of haryana with the help of District Administration which exhibit a glimpse of haryana’s traditional art. After Hemu’s beheading at the Camp of Akbar at Saundhapur on Jind Road at Panipat, his head was sent to Kabul to be hanged outside the ‘Delhi Darwaza’ and his torso was hanged on a gibbet outside Purana Quila in Delhi to terrorise locals. After few years Hemu’s supporters, constructed a Samadhi over the place where he was beheaded. The place and its surroundings are slowly encroached upon by local people. This is the only memorial of Hemu in Panipat, but in bad condition. The tomb is situated near a Tehsil Office at Panipat. Ibrahim Lodhi fought fiercely with his uncle Babur, in the battle known to us today as the “First Battle of Panipat” and was slain and buried at this place. It was one of Sher Shah Suri’s dying regret that he could never fulfill his intention of erecting a tomb to the fallem monarch. Much later, the British erected a plain plateform over the place, with a short Urdu Insscription on it. Another memorial of some kind, however, appears to have existed which used to formm a place of pilgrimage for the people of Gwalior since Vikramaditya the last Raja of the old Towrebs dyansty of Gwalior, fell in the same battle. This memorial, according to general Cunningham, was destroyed when the Grand Trunk Road was made. The garden of Kabuli Bagh along with a mosque and a tank was built by Babur after the First battle to commemorate his victory over Ibrahim Lodhi. Some years later when Humayun defeated Salem Shah near Panipat, he added a masonry Platform to it and called it ‘Chabutra” Fateh Mubarak, bearing the inspription 934 Hijri (A.D.1557). These buildings and the garden still exist under the name of Kabuli Bagh called so after Babur’s wife – Mussammat Kabuli begum. A temple dedicated to local deity exists on the bank of a large tank. A Shiva temple believed to have been built by a Maratha named Mangal Raghunath who had remained in Panipat after the battle, also exists besides it. According to the tradition, the site 8 Kilometers from Panipat and 42 Kilometers from Karnal, where Sadashiv Rao Bhau commanded his maratha forces during the third battle of Panipat was marked by a black Mango Tree (Kala Amb) which has since disappeared. The dark colour of its foliage was probably the origin of the name. The site has a brick Pillar with an iron rod and the structure is surrounded by an iron fence.The site is being developed and beautified by a society with Governor, Haryana as its President. The countryside is no less famous than the city of Panipat remnants of various buildings and structure along with galical and archaeological interest. This gate is situated in the middle of Panipat city historical importance to Nawab Salar Juge, The gate still denoting its archaeological interest. Seven hundred years old this tomb is known as Dargah of Shah Kalandar Khizar Khan son of allau-din Khilji who got this tomb constructed. Bu-Ali-Shah kalander was born in 1190 A.D. His father’s name was Salar Fakirudin. There are tombs of Hakim Mukaram Khan and Khawaja Altaf Hussain Hali in the premises of this tomb. Hali was a great Urdu poet. A large number of people from all walks of life, Hindu, Muslims, Sikh and Christians visit the tomb of Shah Kalandar and offer prayers here on every Thursday. Shri Ram Sharnam stands as an emblem of supreme devotion to Shri Ram and Selfless service of humanity in the war : ravaged historical city of Panipat. The grace and dignity of its congregation halls and its atmosphere suffused with piety and devotion attract devotees in large numbers. With ceutres spread all over India and abroad, Shri Ram Sharnam Panipat has the honour of being the only prayer hall inaugurated by Swami Satya Nandji himself in 1960, who described it as divinely inspired. swamiji’s great disciple Maa Shakuntala Devi and Maa Darshi Devi, the present head of Shri Ram Sharnam have worked with great commitment and devotion to develop it into a singular place for the mental, moral and spiritual advancement of its innumerable devotees. Shri Prem Mandir Panipat is situated in ward 3 Panipat. This is a place of affection and service to the needy . Shri Prem Mandir was established in LAYYAH (now in Pakistan) in 1920 by the then ‘Paramadyhaksha’ (the Founder) Shri Shri 1008 Shri Shantidevi Ji Maharaj daughter of Shri Ghanshamdas ji Chandna. It was shifted to Panipat during Partition in 1947 and has since been spreading love and compassion among people across India. At the time of partition of country in 1947, the first Guruji brought “Thakur Ji”, an idol of Lord Krishna, along with her and continued the traditions on which it was founded. In 1957, the diaties were shifted to the present place. Presently, two more branches are also serving in Panipat on the same principles viz. Shri Raghunath Prem Mandir, Insar Chowk and Shri Shanti Prem Mandir, Patel Nagar. Some more branches are also functioning in , Bahadurgarh, Dujana, Gudiyani, Jhajjar, Sonipat and Kanpur. Shri Prem Mandir is based on five main ideologies of Panchsheel- “Sewa, Simran, Satsang, Sanyam and Sadgi (service, remembering the god, attending prayers for God, self control and simplicity). This is fully controlled by the ladies (Nari Shakti) and will remain like this. Here, the main vision is to help the needy and downtrodden human beings. Maharaj Shri Shri 1008 Shri Shanti Devi Ji established a tradition for women before being BRAHMLEEN in 1980 . After that Shri Vasandi Bai Ji Maharaj, who was appointed as the second guru, managed the functioning of the temple for five years and became famous as `Avdhoot Sant` . She left for heavenly abode in 1985 and after that the Idol of ‘Sacrifice and Self Control ` Shri Vanti Devi Ji Maharaj became the third ‘Paramadyhaksha’ of the Temple. She managed the functioning of the temple as per tradition established for 16 years. In Dec 2001, when she left the world and went to the shelter of God, then the charge was handed over to Bal Brahmchari Shri Parkash Devi Ji Maharaj (known as fourth ‘Paramadyaksha`of the temple). She also served the temple with full zeal for thirteen years . But in 2014, she also left this world for Nirvana . After that in July 2014, the responsibility was given to Balbrahmchari Shri Kanta Devi Ji Maharaj to continue the traditions and became the Fifth ‘Paramadyhaksha’ of Shri Prem Mandir. This is worth mentioning that the Satsang, religious programs, worship of God are performed daily in the Morning and Evening as per the Sanatan Dharam traditions from the very first day it was founded. Every year, in the month of February, an annual function namely “PREM SAMMELAN” is organized. The devotees from all parts of the country attend the function and provide their services to mankind and get Blessings of Gaddi alongwith Saints of the Nation.